Those that have experienced the weekend food offering at the Clover Hill cellar door will know it is equally as unique and striking, with juxtaposing flavours and textures, as well as aesthetics to mirror the environment and pair with the wines on offer. 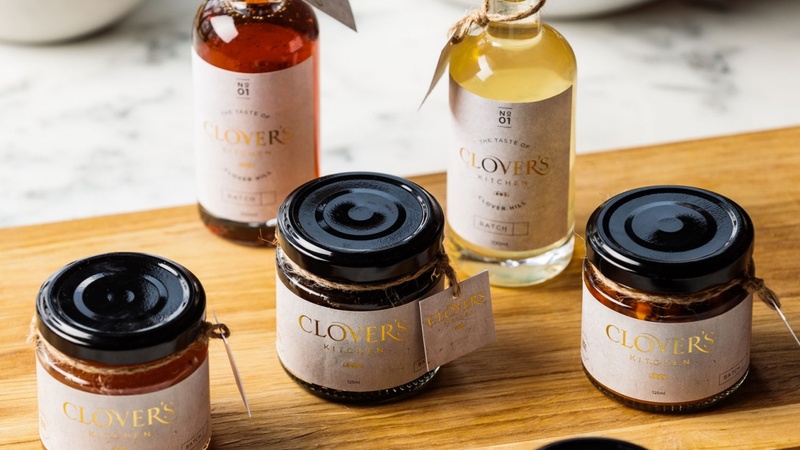 Clover Hill Kitchen’s signature methods for producing such rich, complex flavour profiles is through preserving and pickling. With the Tasmanian climate being as fruitful and lush as it is, they take full advantage of the bountiful growing season, letting nothing go to waste. The result of this talent is a range of seasonal condiments. As with the food available at the Cellar Door, these condiments are highly seasonal and small volumes produced for each item. What is available one day, may not be the next. An example of seasonal products you may see within the range are a Sparkling Reduction, Hot Lemon Pickle or Brined Olives. 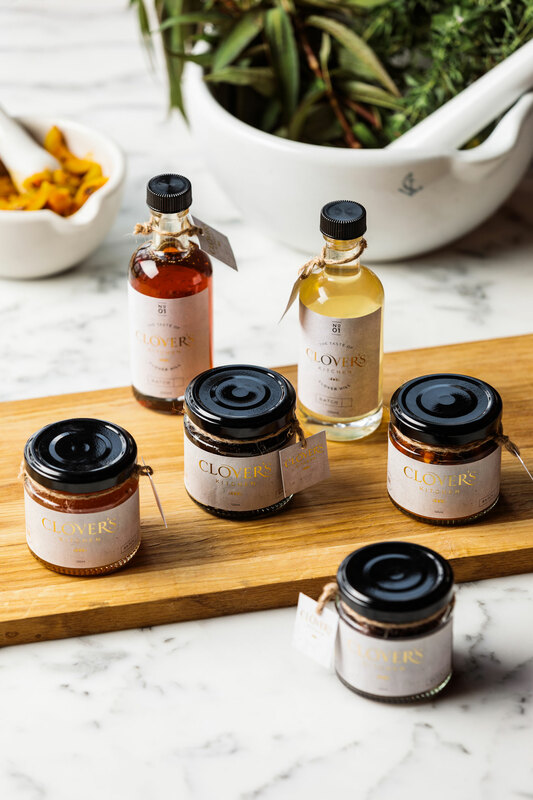 Clover’s Kitchen condiments are only available for purchase at the Clover Hill Cellar Door.